2014 was a big year. Kyle and I bought a condo, got married, and I started a new job. We were also fortunate to travel to Turkey for vacation and to the Dominican Republic for our honeymoon. So for us, 2015 is all about the staycation. This summer we relished spending weekends here in New England and didn’t feel the need to venture too far. This past Friday we kicked off our weekend with another experience close to home by spending an overnight at the Colonnade Hotel. For me, it was so nice to take a short walk from work over to the hotel in favor of the commute home. Very relaxing! 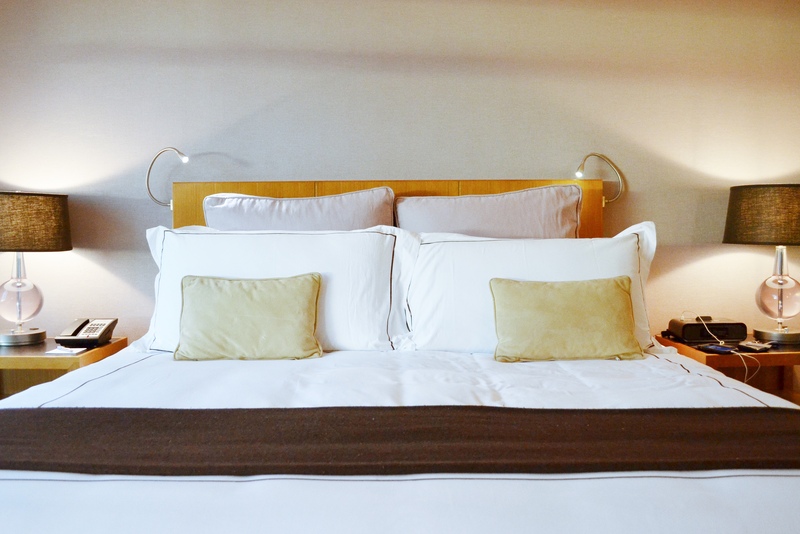 The rooms at the Colonnade were just what we were hoping for. They’re clean and contemporary and have a refined color scheme. I loved the warm tones and accents of chocolate brown. It was a perfect cozy haven on a drizzly Friday. We settled right in and enjoyed dinner in our room while watching the sun set over the city. 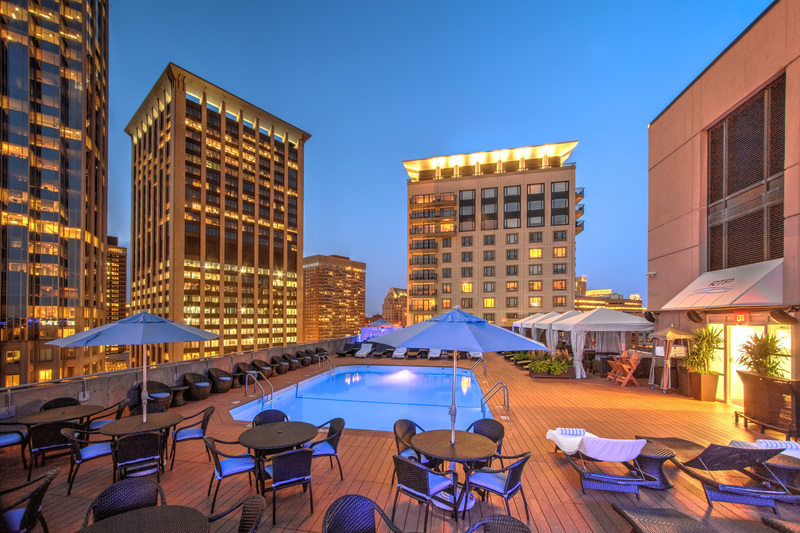 Lucky for us, the Colonnade was ideally located on the border of the Back Bay and South End. We took advantage of the great location and strolled through the neighborhood after dinner. We ended up at the newly opened Jaho Coffee and Wine Bar in Downtown Crossing where we enjoyed a glass of wine while chatting about the week. 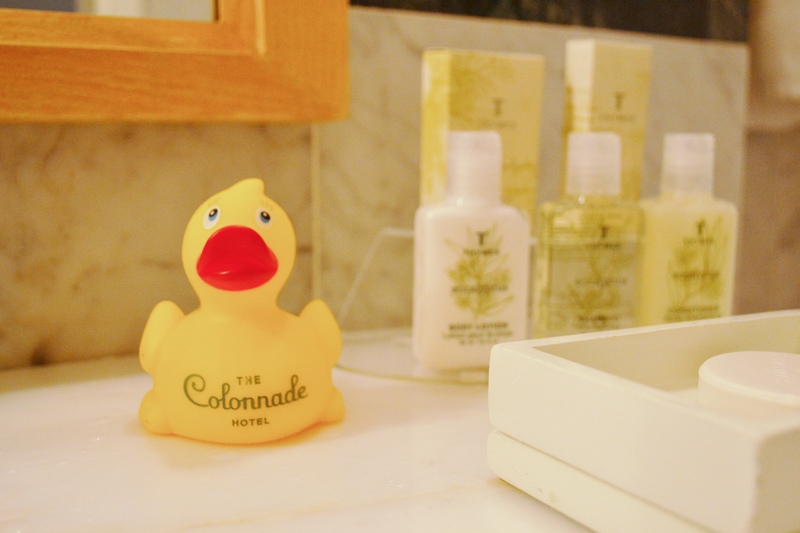 One of the hotel’s unique touches is their mascot, Colette the duck. There’s a rubber ducky is in each room waiting to greet you and she also serves a practical purpose; just place her on the bed to let housekeeping know you’d like your linens changed. 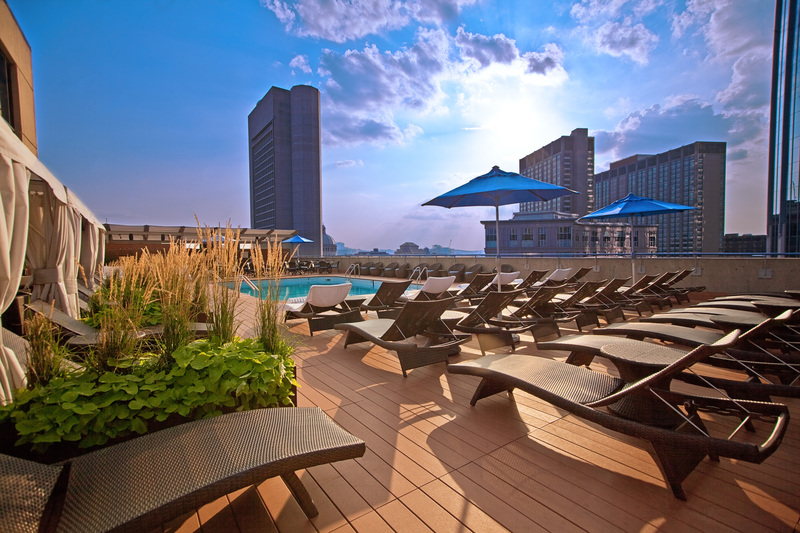 The Colonnade is best known in Boston for its Roof Top Pool. It’s one of the few pools in the city and it’s the perfect urban oasis during the summer. We were happy to spend some time on the 11th floor by the pool just taking in the spectacular view of the city. Even though we were there for just one night, the warm and welcoming staff made us feel like the Colonnade was our second home. 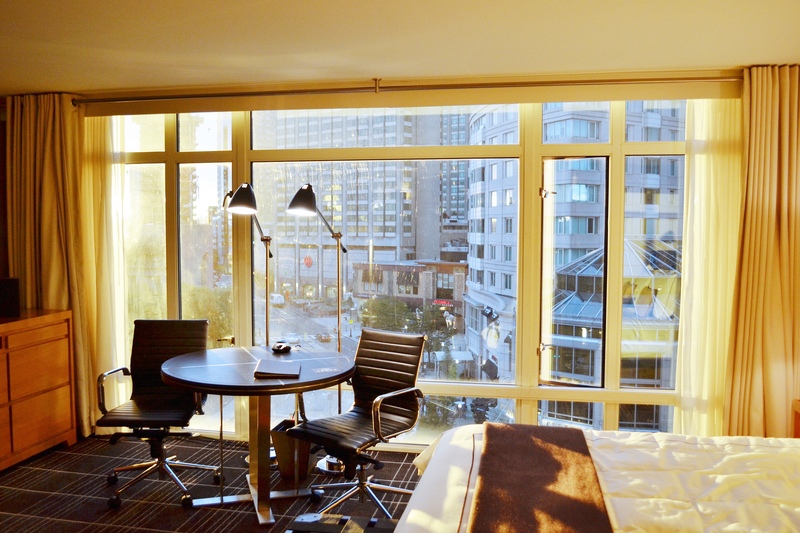 There’s really no better place to take a staycation in Boston! Our overnight stay was covered by the Colonnade Hotel but all thoughts and opinions are my own.